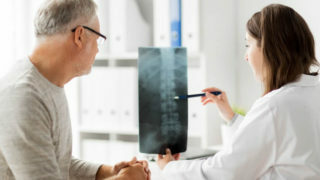 These complex disorders are unusual and varied set of neurological and neurosurgical problems usually related to cerebrospinal spinal fluid flow disorders causing a variety of neurological symptoms including headaches, visual disturbance, extremity pain, weakness. They can be a result of congenital abnormalities or acquired from injuries, infections, and prior surgery. 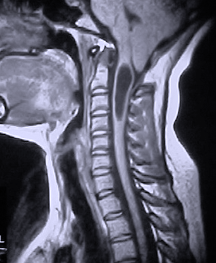 Batzdorf U, Klekamp J, Johnson JP: A critical appraisal of syrinx cavity shunting procedures. 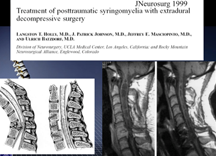 Journal of Neurosurgery89(3):382-388, September 1998.